Don’t let the name fool you. You don’t need to be a tea-drinking, large hat-wearing, fancy-pants aristocrat to have a great time at the RBG. There are gardens that are perfectly manicured and polished, but there are also marshes, ponds, trails and wildlife. 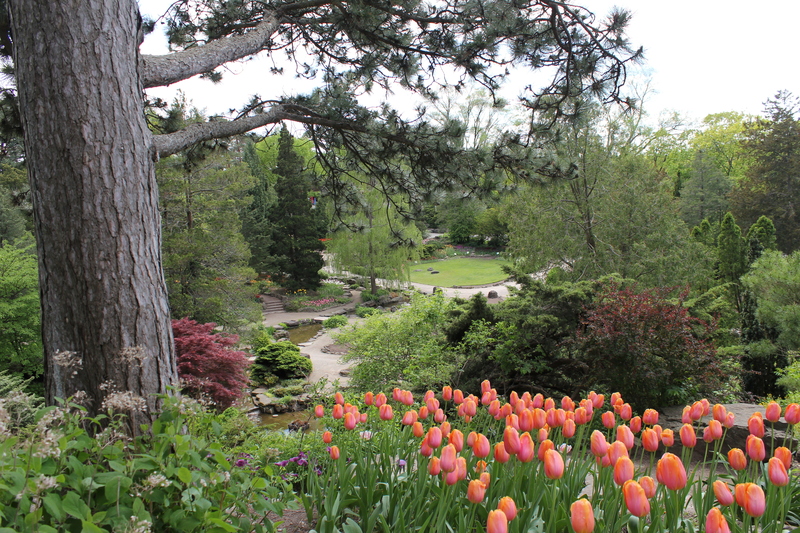 The Ontario Royal Botanical Gardens, located near Burlington is the largest botanical garden in Canada and is a National Historic Site. The RBG manages one of the largest freshwater marshland projects of its kind in North America and has protected and restored over 2400 acres of land. This conservation and restoration creates habitat for fish, birds and other critters. They are doing such an amazing job at restoration that a pair of Bald Eagles have nested in the RBG’s Cootes Paradise and in March 2013, two eaglets hatched (for the first time on the Canadian shore of Lake Ontario in over 50 years!!). If you’re looking for a great place to spend the entire day outside, you need to check this place out. Admission is around $13/person/day and it’s great for all ages. Dogs are allowed everywhere outside, but must be kept on a leash. 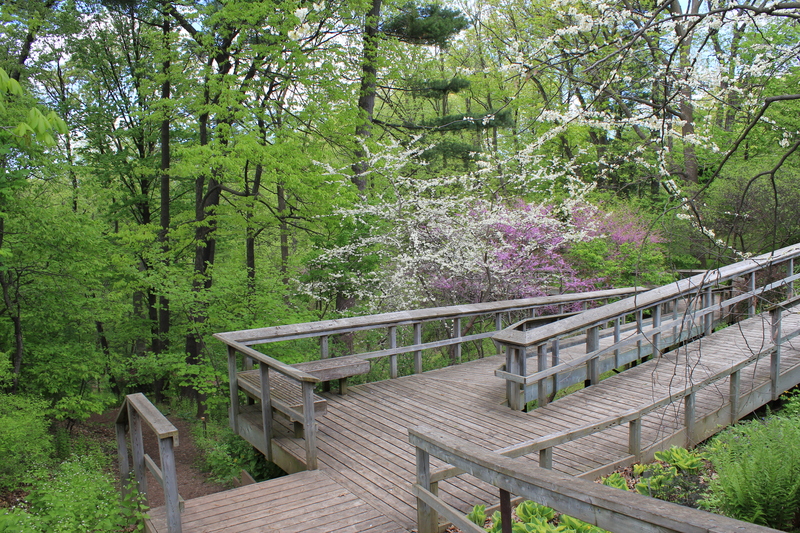 There are 27km of trails, from wooded trails, boardwalks and paved walks. Fishing is permitted, however conservation is encouraged (using barbless hooks, catch and release). Check out the video below of a Great Blue Heron catching fish at RBG. There are two canoe launch sites — Princess Point and Valley Inn. I haven’t been able to canoe here yet, but it’s on my list of things to do! There are endless photography opportunities including birds, landscapes, bugs, flowers, waterfalls/fountains, etc. I’m far from being a bird expert, but I’ve seen Robins, White-breasted Nuthatches, Chickadees, Red-winged Blackbirds, Blue Jays, Northern Cardinals, Cedar Waxwings, Swallows, Great Blue Herons, Osprey, Canadian Geese, Ducks and Turkey Vultures. I haven’t had a chance to see the Eagles yet. If you’re into birding, you could probably identify many more than I can! 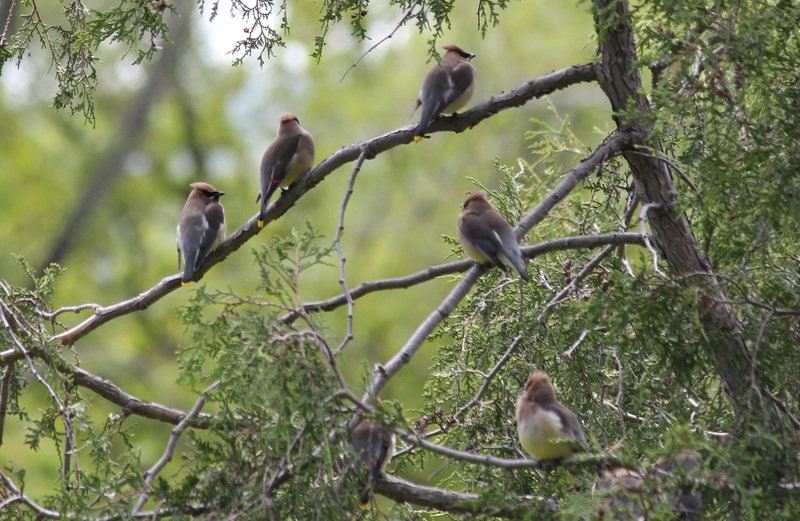 Bring some birdseed and walk any wooded trail — you will make many feathered friends. Chipmunks, squirrels, weasels, groundhogs, raccoons, snakes, turtles, deer. There is a Cafe in the RBG Centre, and Tea-Houses in Hendrie Park and the Rock garden. All have fairly limited hours, so check before going. Or better yet, bring your own lunch and have a picnic. Great photos of a wonderful place!